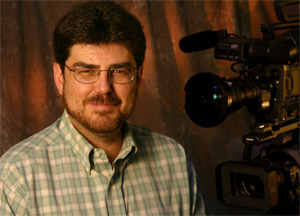 Owner Trace Ready is a Director of Photography, Writer and Producer with 25 years experience in broadcast television, corporate video and documentary filmmaking. Trace Productions provides personalized service to a diverse client base, from small and medium sized businesses, broadcast and cable television networks, documentary producers, to some of the biggest names in corporate America. All images are still frames from Trace HD video productions. Tracy D. Ready, Director of Photography ©2019 All rights reserved. From single camera crews to turn-key productions including scripting, producing and postproduction, Trace has the experience, creativity and business sense to bring good ideas to life on screen for his clients. Beyond production, Trace is an accomplished writer and producer, now providing media consultation for business. Facebook, Twitter, Linkedin and YouTube are business drivers in this "brave new world" but they are not the "end all, be all" to marketing. A smart strategy involves these outlets combined with so called "traditional media". Trace is well versed in social media and "traditional media" and can help you develop clear and balanced marketing strategies for business growth. ESPN, CBS, CNN, ABC, NBC, Australian Broadcast Network, TNT, Exxon/Mobil, SuperMedia, Nortel, Coyne PR and many more. See the Projects page for additional Trace Productions video samples. See Documentary page for previews of three films currently in production.